'First Female Fire Officer IV'..
MTSU faculty and staff took to WGNS Radio recently to share information about an upcoming lifelong learning series through the College of Liberal Arts, a recent reading conference and ongoing programs in the Tennessee Center for the Study and Treatment of Dyslexia at MTSU and a new professional sales program in the Jones College of Business. The details were shared during the March 19 “Action Line” program with host Bart Walker. 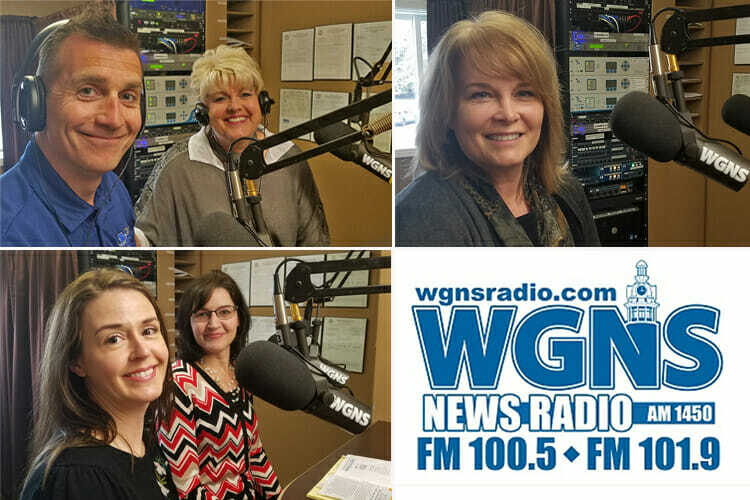 The live program was broadcast on FM 100.5, 101.9 and AM 1450 from the WGNS studio in downtown Murfreesboro. If you missed it, you can listen to a podcast of the show here. • Connie Huddleston, events coordinator in the College of Liberal Arts, and Nate Callender, associate professor in the Aerospace Department and one of this year’s Lifelong Learning course instructors, discussed the upcoming 2018 Lifelong Learning Series at MTSU. The College of Liberal Arts began this outreach program in May 2015, giving adults 50 and older an opportunity to expand their knowledge by taking noncredit classes without tests and homework. This year’s courses will be held May 7, 14, 21, and 29 at the MT Center in the Sam Ingram Building. Each course costs $20, with four classes per course that meets on Mondays (except for the Tuesday, May 29, class because of the Memorial Day holiday. For more information, including this year’s topics and instructors, go to http://www.mtsu.edu/liberalarts/ and click on the “Lifelong Learning” tab. • Dr. Jennifer Cooper, director of the Tennessee Center for the Study and Treatment of Dyslexia, and Dr. Melinda Hirschmann, assistant director of educational outreach for the center, discussed the recent Fox Reading Conference held at MTSU and other center work. The center presented the Fox Reading Conference Saturday, March 17, at the university’s Keathley University Center. The event was free and open to the public. Educators earned six hours of professional development credit for attending this free, informative event. Cooper said the “Spelling Symposium” theme was designed to help improve the type of spelling instruction being offered in early grades. • Laura Buckner, an instructor and internship coordinator in the Department of Marketing, discussed a new professional sales concentration in the Jennings A. Jones College of Business. The concentration explores the principles, problems, and role of personal selling in the business environment. Buying motives, persuasion techniques, and steps of selling process are considered as they relate to different types of sales activities and products. For more information about the Department of Marketing, visit http://www.mtsu.edu/programs/marketing/index.php#t-5.